Be a part of one of the fastest growing media sites for music in the world. Advertising packages and opportunities are available to record labels and artists all around the world. 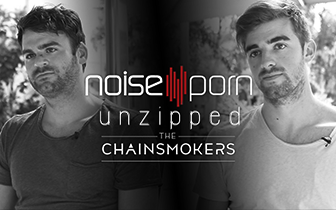 Learn more about Noiseporn by downloading the media kit! If you are a video distribution client, your music videos are automatically added to the Noiseporn applications as well! Symphonic Distribution’s brand, Noiseporn, is not your average music blog. Disconnect from the ordinary and immerse yourself into a new wave of music, featuring the latest news, new releases, artist interviews, fashion trends, and exclusive festival coverage. With new, original articles and videos every day, Noiseporn delivers what you want to know. Noiseporn produces original video content designed for the social web. Our dedicated staff and production team works with brands to create visually engaging content. We’ll post on our video network, YouTube, Roku Application, Apple TV channel and more.